Web video, and in particular social web video has a viral marketing effect, but there are some social media sites in which this works better than others. The interplay of online social media with video has become one of the most popular ways to market, and that it makes a difference to leverage is without doubt. However, as far as video is concerned not all sites are created equally. It is important to remember that YouTube drives traffic for longer than Twitter or Facebook for example. So, it matters where you share content, as much as what the content is, and how the video is made. Viewers love watching video content, the more comic, cute or bazaar, the better! The best thing about this is that viral marketing happens, virtually on its own accord. The better a video is and the more laughs a person gets out of it; the more they share it. So, the video takes on a life of its own, trailing your marketing campaign behind, like a virtual Halley’s Comet tail – only to pop up again every 75 or 76 years – when it will start up your marketing campaign again without you even knowing. The half-life of a really good video is about the same as a hefty hunk of nuclear-grade Plutonium, or at least it should be. As it matters where this content is shared; YouTube is the best. Although, trends in popularity do sometimes change, it is best to stick with what we know best. There is very little reinventing of the wheel happening with internet marketing. Innovation might be king, but the invention has all been done for the time being, so, best do what everyone else does, especially if it works. If you are a numbers person, and many people are – the numbers tell us that for links shared on YouTube – the half-life is approximately 7.4 hours. It does not seem like a very long time does it – but why do they call it a half life? Because it is not actually 7.4 hours when all is taken into consideration, but we won’t get into that now, as it is another topic of conversation. To compare this number with Facebook and Twitter, they have a link half-life of something like 3 hours. Therefore the obvious assumption is; that if a link is shared on YouTube it holds the attention of the audience, for more than twice as long. That is more than double the public interest level, and that in itself is HUGE! 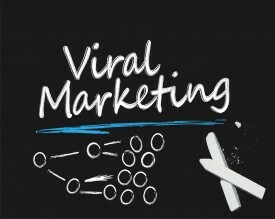 In terms of our actionable advice to you, this means, when you are sharing video with the aim to achieve viral marketing – share your links on YouTube. Remember on the internet when it comes to marketing, if it isn’t broken we don’t fix it. We copy what everyone else does when it works. We don’t advocate that you don’t share your links on Facebook and Twitter – you should. But we are definite about the fact that links should be shared on YouTube. Links should appear in annotation on the video itself, if can’t do this get someone who can to help you and pay them to do it. Links should also appear in the video description, and all individual links should be shared with social networking media more than once. In other words, when clicks have reached their life-cycle peak, they should be shared again. Not necessarily in YouTube, but definitely on Facebook and Twitter, as there is another very important marketing concept – or rule if you like – your material should always appear ‘above the fold’. Links on both Facebook and Twitter, soon move down the page, and disappear below the fold. It’s then also safe to assume that your reader may not see the link the first time. Even though this is a virtual fold, the fold still counts. However on You Tube, the links are always right there. The overall assumption, based on this overwhelming evidence is – that all businesses with an online presence should be exploring/experimenting the use of social video for their viral marketing campaigns.